Welcome to MWI Metal Roofing! 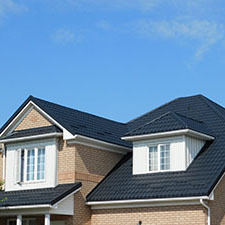 We are a group of roofing professionals proudly serving home and business owners across Ontario. 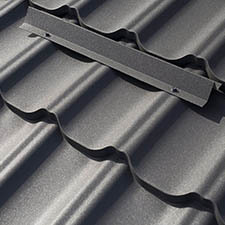 Our company is partnered with some of the most reputable metal roofing manufacturers and are able to provide you with cutting-edge solutions to your property improvement needs at the most reasonable rates. All of our Orillia metal roofing contractors are fully licensed, certified, and trained to operate the latest equipment and tools and will guarantee picturesque results every project they tackle. Our Orillia roofing team has years of professional experience working with homes and businesses of all sizes and shapes and there is simply no project too grand or too small for us to handle! Our multi-talented Orillia roofing professionals provide standing seam metal roofing, commercial roofing, and other spectacular services that will keep your valuable property well-protected and looking amazing for decades to come. Be sure to check out our gallery to look at some of the most gorgeous roofing projects completed by our amazing contractors! Our testimonials page features some of our favourite customer feedback from recent years. Our Orillia roofing crew currently serves customers throughout the regions of Orillia, Gravenhurst, Bracebridge, Huntsville, Rosseau, Parry Sound, McDougall, Kawartha Lakes, Midland, Barrie, Wasaga Beach and countless other neighbouring communities. For more information about any of our services or to book an appointment, please don’t hesitate to contact us at any time! We look forward to working with you soon. 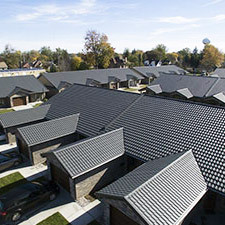 For many decades, MWI Metal Roofing (M. West Installations) has been working together with numerous property owners all across Ontario, steadily building up our current reputation as the most friendly and dependable group of roofing professionals. Our company exclusively hires fully verified and licensed contractors to maintain our impeccable service standards and never subcontracts any projects to other companies. Furthermore, you will be happy to learn that we source all of our products exclusively from industry-leading manufacturers that we have partnered up with, allowing us to serve you with only the best materials at amazing rates. Current list of services offered at our company includes standing seam metal roofing, commercial roofing, and many other professional services such as siding installation, soffit and fascia, and eavestroughs. 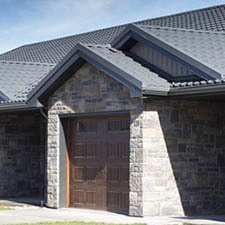 Proudly serving home and business owners of Orillia, Barrie, Kawartha Lakes, Georgina, Innisfil, Gravenhurst, Bracebridge, Huntsville, Rosseau, Parry Sound, McDougall, Midland, Wasaga Beach and more, our Orillia metal roofing contractors have decades of professional experience working with buildings of all sizes and sorts. From standing seam metal roofing to commercial roofing and other property improvement services, our company is fully equipped and ready to deliver spectacular results! Contact us at MWI Metal Roofing (M. West Installations) to schedule a meeting with some of the finest contractors in Ontario and have your needs looked at today. Copyright © 2019 Orillia Roofing. All Rights Reserved. Website Managed by LNtek Inc.